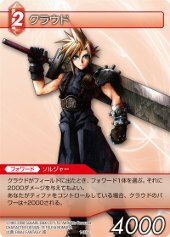 Cloud Strife (クラウド・ストライフ [cloud strife] in Japanese) is the main character of Final Fantasy VII and features prominently in many other titles. He's 173 cm tall and his blood type is AB. 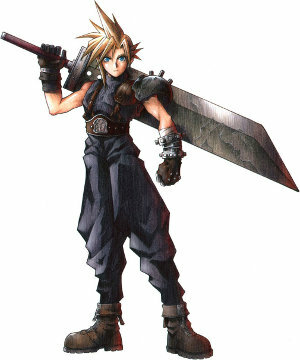 He was born on 11.8, and is 21 years old during the events of FF7, 24 during the events of FF7DC. 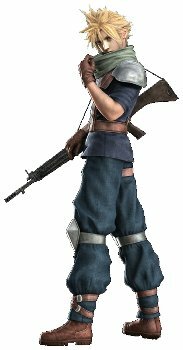 He became a soldier in his teens, and after the events of FF7 became a motorbike delivery person. 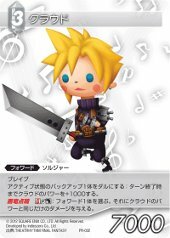 Cloud's own personality is withdrawn although he has bouts of occasional dry humor. When addled by mako, his personality is similar to his friend Zack's. The pronoun Cloud uses to refer to himself in Japanese is 俺 [ore]. 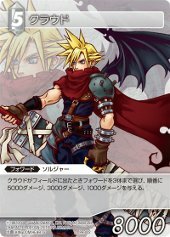 Cloud's seiyuu is Takahiro Sakurai in the Japanese version and Steve Burton in the English one. It's the same across all the titles he appears in. Cloud was born in the village of Nibelheim on 11.8. Not much about his father is known except that he died when Cloud was very young. His mother had blonde hair like him. He appears not to have had any siblings, as they are never mentioned. 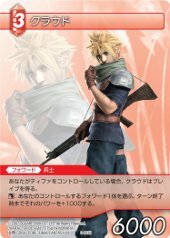 Cloud appears to have spent most of his childhood unnoticed by the popular kids and indeed, didn't have many friends at all. He had some contact with a girl named Tifa Lockheart, who remained special to him. 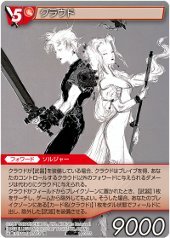 When Cloud was 9 years old and Tifa had just lost her mother, he went with her and three of her friends to Mt Nibel, and ended up falling some ways. This is how he was at 13 years old. One day, he invited Tifa out and told her he was going to leave Nibelheim for Midgar to become a SOLDIER. He promised to protect her whenever she was in trouble, and Tifa took this to heart. 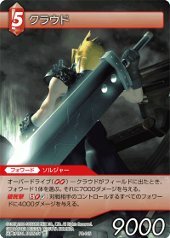 Soon after, Cloud left for Midgar. 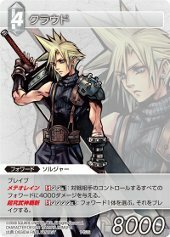 Cloud did reach Midgar, although he didn't make it to SOLDIER. Instead, too ashamed to return to Nibelheim, he joined with the regular Shinra troops. 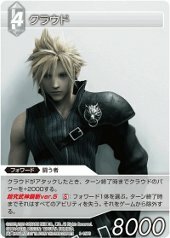 Cloud has appeared several times in the FF-TCG, under the elements of Fire and Light.